Girl First Communion Stained Glass plaque. The plaque measures 10 x 5 inches opened. 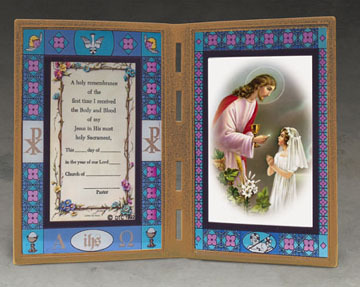 The plaque features a verse card with space to commerate your childs Frist Communion and a removable picture on the opposite panel.